As much as 10% of the worldwide population has yellowed, discolored nails due to fungus. 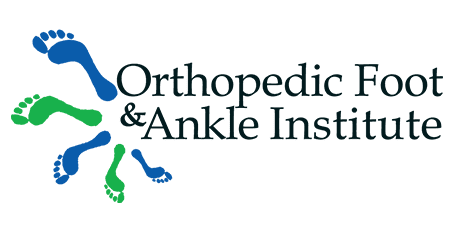 If you’re one of these people, you may be a candidate for laser treatment at Orthopedic Foot & Ankle Institute in Henderson, Nevada. Dr. Roman Sibel offers this innovative laser treatment to eliminate unsightly fungus and protect your nails without resorting to surgery. Schedule a consultation online or by phone to find out more about the benefits of laser fungus therapy. Nail fungus is a common condition that results from dermatophytes, fungi that feed off keratin, which is the primary component of your nails and skin. These fungi are present everywhere, and when your feet come into contact when them, an infection can develop. You can also develop an infection after wearing shoes that are too tight and cause trauma to your nail. If you have a weak immune system or a family history of fungal nail infections, you may be at increased risks for infection. Your infection risk also goes up as you age. Untreated infections can spread gradually until your entire nail is affected. What treatment options are available for nail fungus? Dr. Sibel may first try other treatments, including topical ointments or oral medications, to clear the infection. Typically, you may need to take oral medications for as long as six weeks to successfully treat it. If you use a topical medication, you may need to apply it to your nails daily for up to 12 months. Laser therapy can treat the infection and improve the health of your nail. Dr. Sibel uses the GenesisPlus laser system, an effective light that passes through your nail. Pigments in the fungi absorb the laser light, which heats and destroys the fungi. Treatment times average 20 minutes, and you may need multiple treatments to achieve optimal results. Following treatment, your nail continues its normal, healthy growth. It can take as long as a year for your nail to become entirely clear. Will the nail infection come back? Dr. Sibel provides you with a home-care treatment plan to prevent future nail infections. While your existing nail infection will clear, there's always a chance of infection due to the constant presence of infection-causing bacteria in the environment, or if you have a predisposition to developing nail infections. To find out if laser treatments for nail fungus are right for you, schedule an appointment online or by calling the office today.